Chewdles Chunks Dog Treats, Beef 180g. 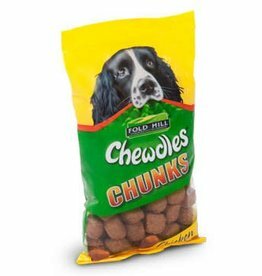 Chewdles Chunks are a semi-most dog treat available in 2 tasty flavours. Chewdles Chunks Dog Treats, Chicken 180g. 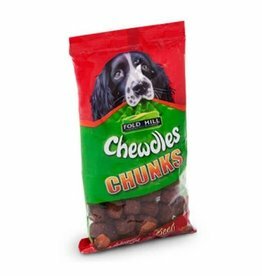 Chewdles Chunks are a semi-most dog treat available in 2 tasty flavours. 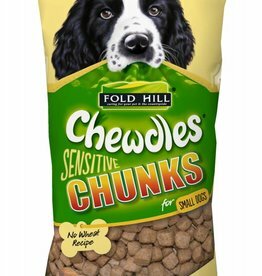 Chewdles chunky sensitive treats are a semi-moist treat for dogs. Ideal for small dogs and those that are sensitive to wheat. 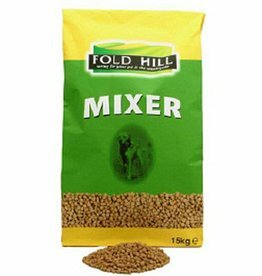 Fold Hill mixer kibbles include natural fibre, vitamins, minerals, oils and fats to help provide all that is necessary for dogs’ daily diets.